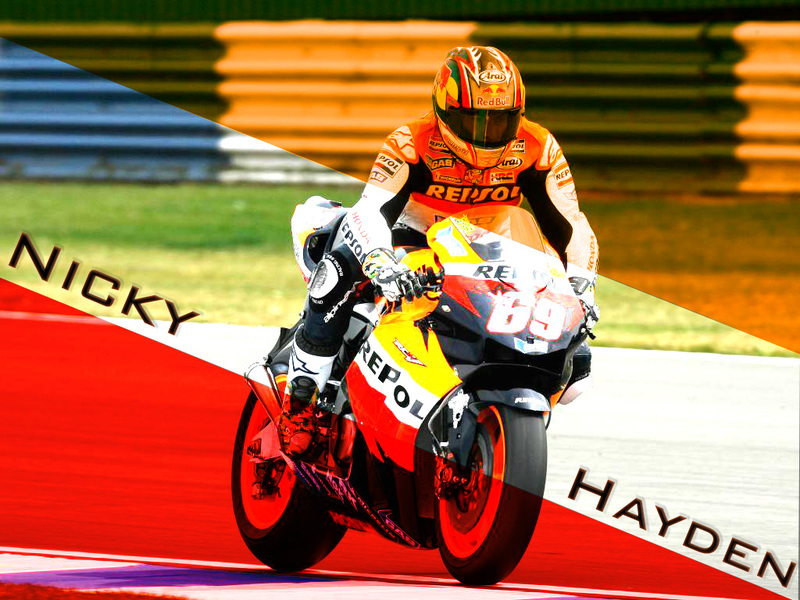 The racing community had a great loss today with the passing of Nicky Hayden. While other writers are sure to highlight his career and impact on the greater riding community, I’d like to focus on the loss and how it affects us a bit more on a personal level. Racing is a tight knit community. Even riders you’ve never met can have a terribly strong impact on your racing career; you feel like you have a connection to all racers, even if you don’t know them personally. Part of that stems from the simple fact that just because you don’t know someone, there’s still a really good chance someone you know well does know them. We’re all connected by a only a couple degrees of separation. Additionally, in any dangerous sport, the community is smaller, but we’re often very passionate about our sport. This creates a mutual bond, even among rivals. 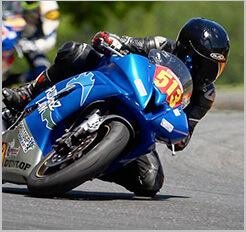 The loss of Nicky is having far reaching impacts on the riding and racing community, but also down to a personal level. His death, not from a motorcycle wreck, but from a “mundane” activity like riding a bicycle, I believe is having a greater personal effect than it otherwise might. Add in that he was a passionate, friendly, “good ol’ boy” and I think his death hits a lot closer to home. We can relate to the passion of the sport, the emotions he so willingly expressed, but also to the fragility of life. Having someone like him, doing what he has done, being lost over an everyday activity makes all of our lives seem that much more precious. To be honest, his death is hitting a bit harder than I would have thought. While I’ve always respected Nicky and his riding, I was never what I would consider a big “fan boy” the way I may have been with a few other racers. Despite that, the Kentucky Kid had an impact on racing here in the US being our “local boy” last seen on the MotoGP grid, and through that there was still a personal impact as well. He was the local hero, the one who was out there representing our sport and nation to the world. His death has left a hole in this sport that no one else can fill at this point in time. His death by such a “normal” activity just highlights the fragility of our lives and how quickly things can change. We know we take risks by participating in this sport, but it’s easy to forget that while those risks are great, they are not the only ones we face. At this point I’m honestly still having some issues reconciling this in my own mind. We are all familiar with loss in the racing community, but it seems “easier” when someone passes doing what they loved, but also something that we consider “high risk.” This loss is harder to swallow. He wasn’t doing anything “dangerous,” he wasn’t riding at the edge of traction at nearly 200mph – no, he was riding a bicycle on a local road. And yet, he’s gone. I guess my take away is to live your life. Find the things that make you happy, that give you a reason to get up in the morning; those things that light up your face without you even realizing it. Embrace those things, chase those things, and don’t for one second stop chasing those things. “What if” doesn’t wait for statistics, it happens regardless. Follow your heart and dreams, take the risks to do those things, and inspire those around you. RIP Kentucky Kid – you touched and inspired many with your life. Ride on in peace, fellow racer.